Stephanie Skura directs a group of seven stellar improvisers representing a diversity of ages and nationalities to perform two evenings of Surreptitious Preparations For An Impossible Total Act. The cast is comprised of five women in their 60s and two in their forties who consider immersed, empowered, individualistic performing to be their top priority. The project began in 2014 with Skura unable to raise funds for a complex movement-theatre work. After feeling stuck for a time, Skura invited a few beloved colleagues to do what they love, without having to raise a large sum of money. In a manner befitting their nomadic, frugal choreographer lifestyles, the group met in studios around the world wherever they intersected. This process evolved into a performance project, directed by Skura, with a group of seven of her dream collaborators. The improvisations are informed by specific scores and structures. The scores, frequently oxymoronic, elicit a multi-faceted movement and vocal language, fluid in narrative and emotional content. Though structures and even personnel can change, underlying values remain constant: diversity, individual autonomy, respectful collaboration, valuing the subconscious, and deep connections amidst differences. 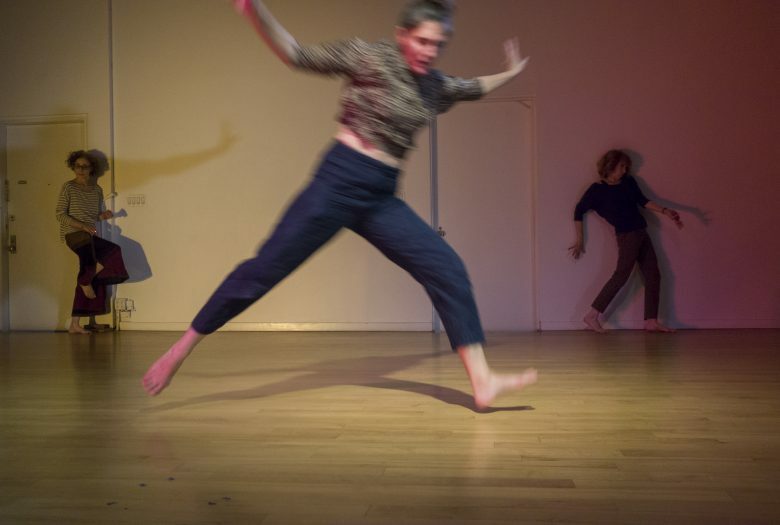 Stephanie Skura has created interdisciplinary movement-based performances for three decades. Her process focuses on the power and totality of each performer, collaboratively discovering and developing material. Hailed as “a major American experimentalist,” she has an international reputation for adventurous work, performing and teaching all over the United States and in 15 countries. With a deep respect for individual diversity, and a sturdy respect for the subconscious, Skura’s work is guided by integration of body / mind / heart, creativity and technique, form and content, intellect and intuition. She received her BFA and MFA from New York University’s Tisch School of the Arts.